Crafty Lalia: You & Me in June! During the month of June, order a You & Me kit for only $15 US/ $16.50 CAN (a retail value of $34.95/$38.95), and a portion of the proceeds will be donated to the American Red Cross 2011 floods and Tornadoes relief operations. Simply use item number CC1012B to place your order for this sensational kit and help those in need at the same time. The You & Me: Stronger Together campaign will continue until June 30 at 11:59 pm (MDT) or while supplies last. 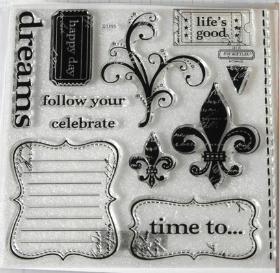 This includes a fantastic full-sized D stamp set which retails for $22.95. The flourish is my favorite so far. It is just so versatile! Here's some layouts for this pack. Don't forget, it will also make some great cards! To order online go to http://lharris.myctmh.com/﻿ or give me a call if you are near me. 425-353-6879. I will be placing an order on 6/29. Offer valid June 2–30, 2011, or while supplies last. No qualifying purchase required. Tax and shipping/handling charges apply. The placement of the donations is prioritized by the American Red Cross, with all money earmarked for disaster relief from the tornadoes and flooding in the midwestern and southeastern United States.